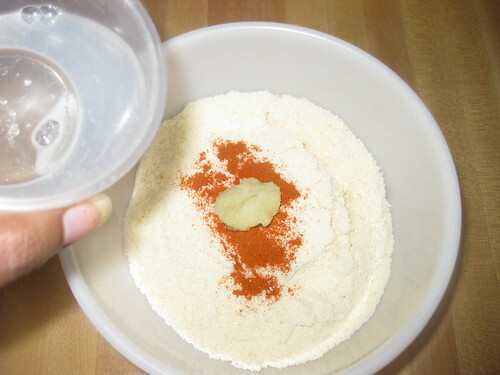 This recipe is from my mom. 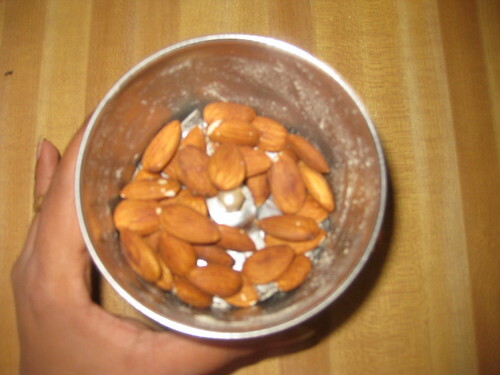 I made this week and all of my friends liked it. 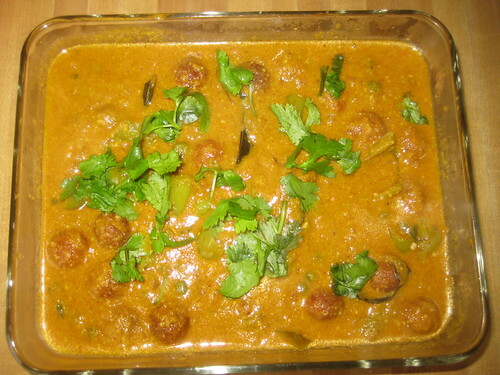 Especially my son and husband liked it very much. 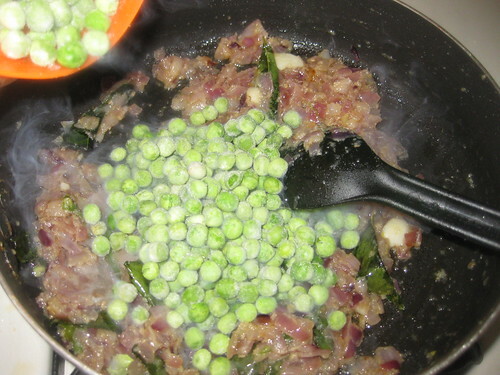 It became a surprise dish at my son's birth day party. 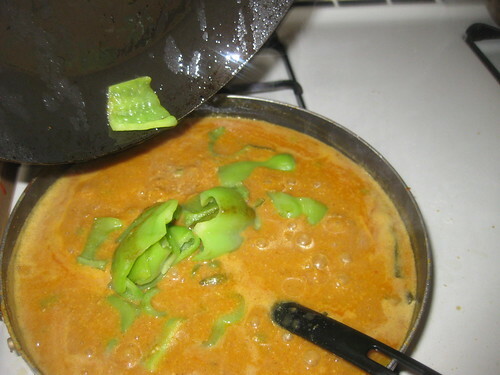 Lot of my friends never heard of this curry. 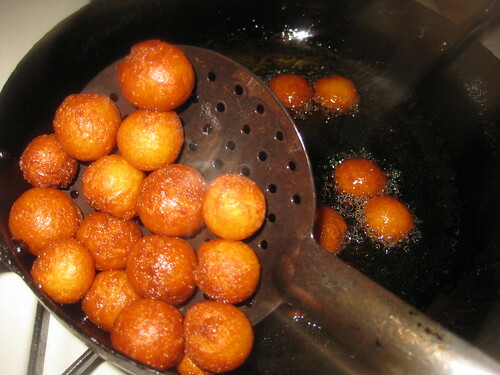 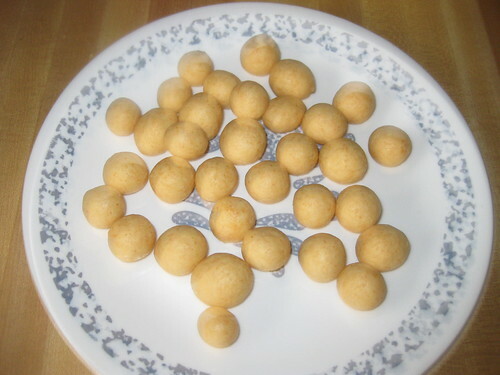 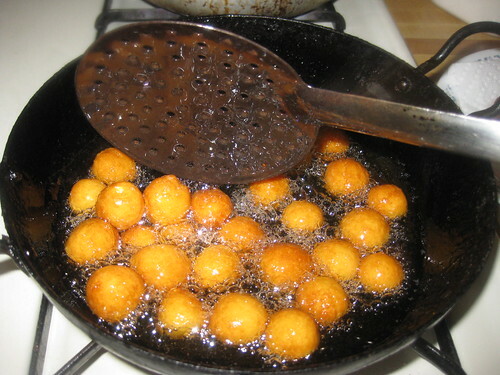 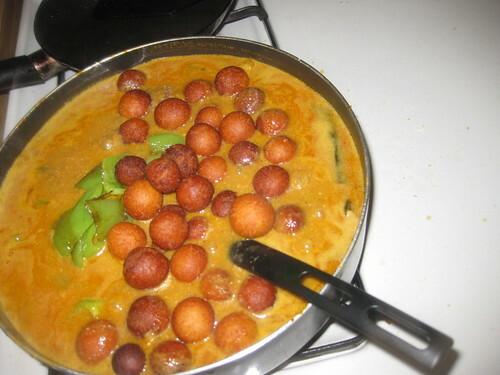 Take gulab jamun mix in a bowl,add red chilli powder,ginger/garlic paste,salt ,sprinkle some water,knead to a soft dough,shape it into small balls. 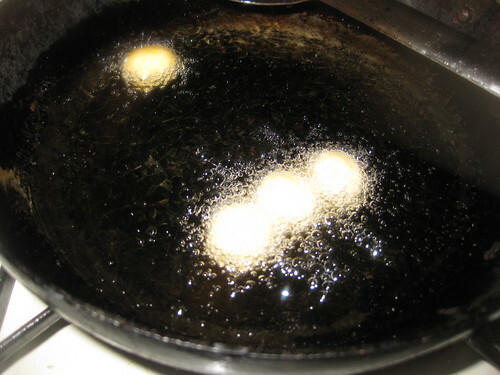 Deep fry them till golden color.Remove from oil. 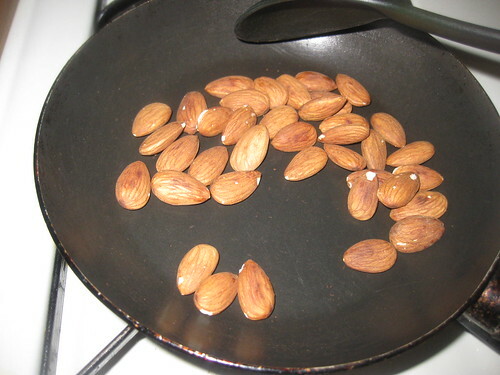 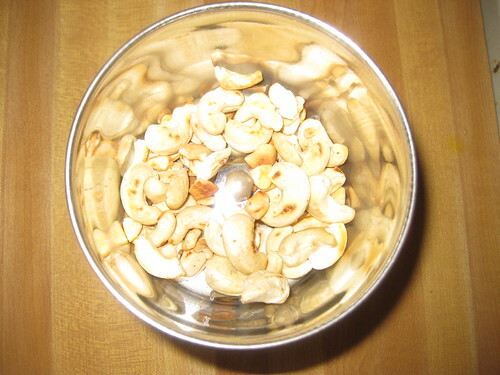 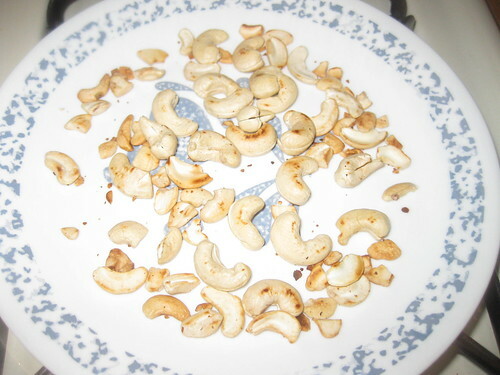 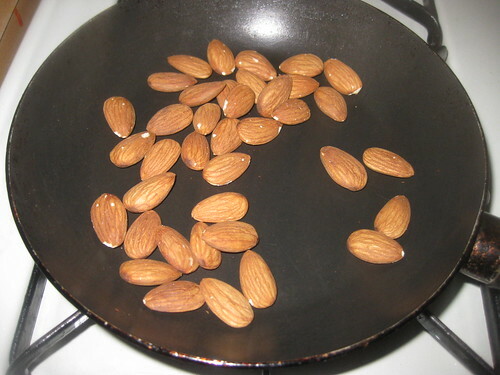 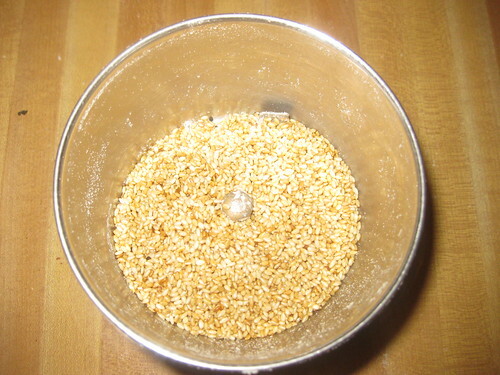 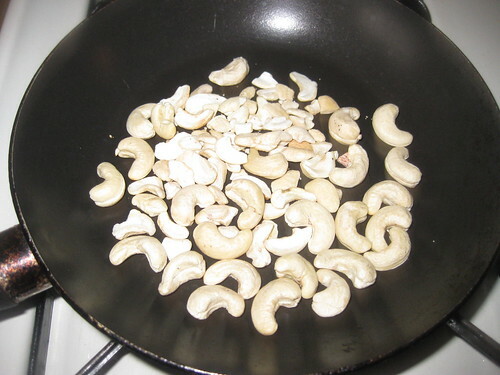 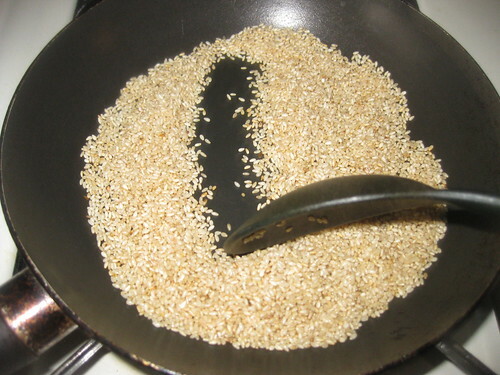 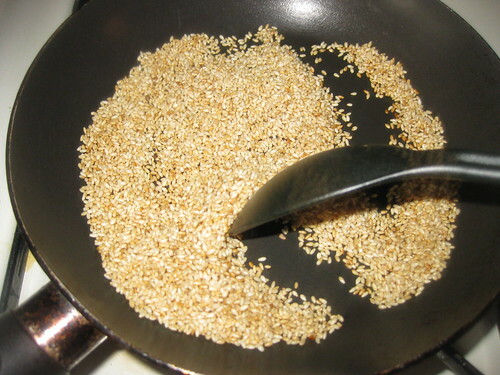 In a pan dry roast the cashew,almonds,sesame seeds individually until they each turn a few shades darker and release their aromas,taking care not to burn them.When its cool down grind into powder.Keep it aside. 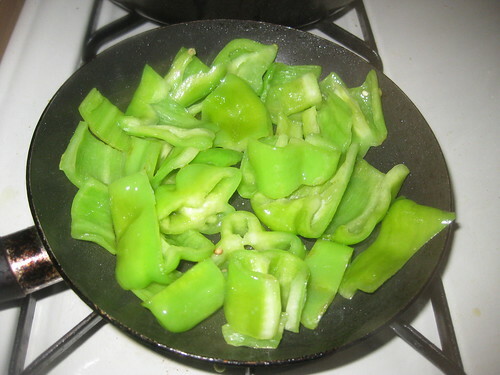 Green pepper cut into pieces and in a pan add oil saute for 5 to 7 minutes.Keep it aside. 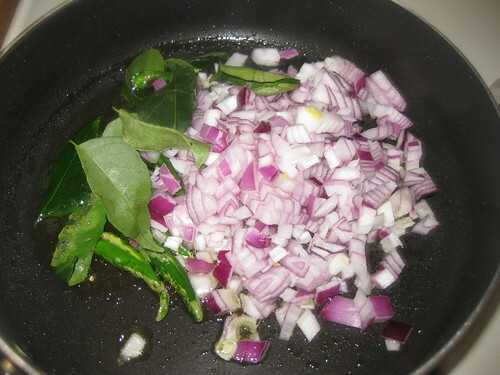 Peel and cut the onions into chopped.Wash the green chillies cut into slit. 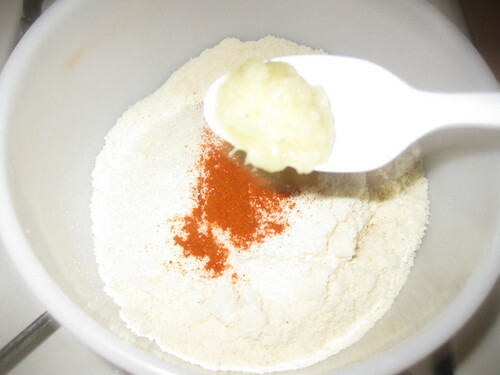 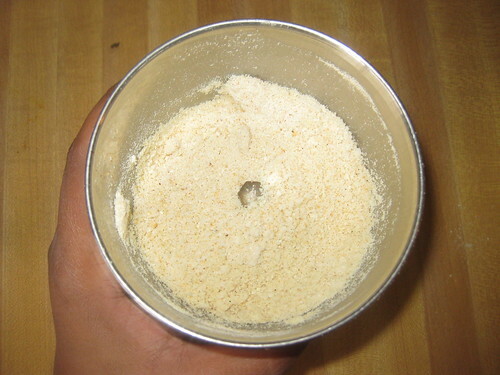 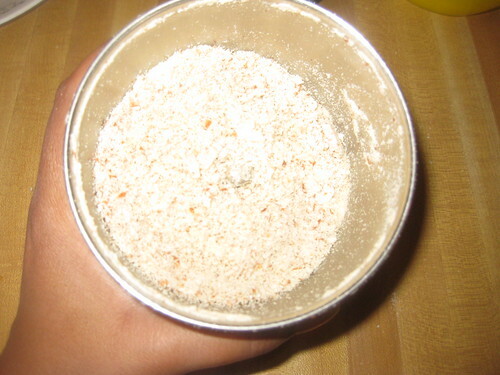 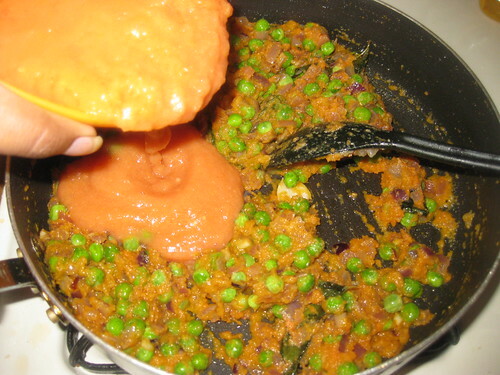 Peel the carrot and cut into pieces and grind into paste.Tomato cut into chopped and grind into paste. 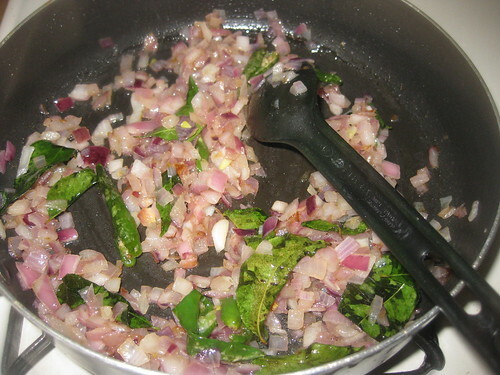 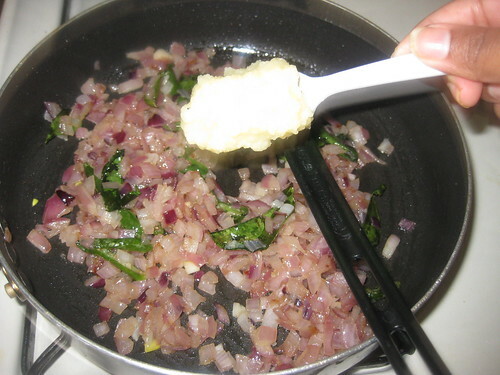 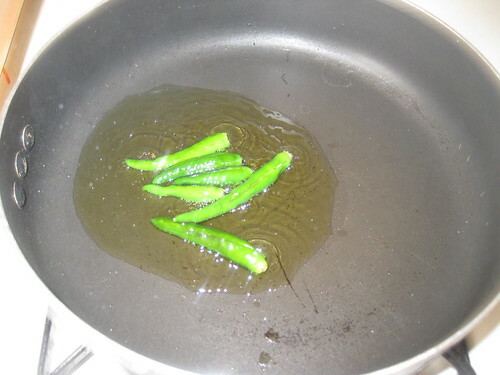 Heat oil in a pan,add green chillies and onions ,curry leaves fry till is light golden color.Now add ginger /garlic paste saute for 3 minutes. 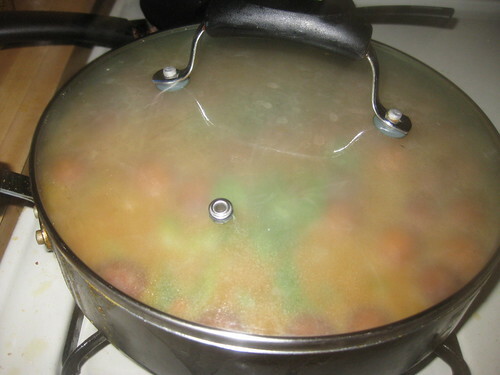 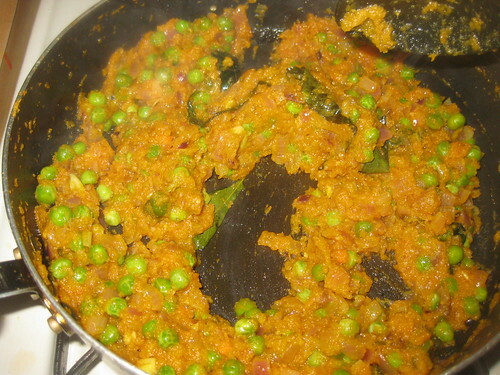 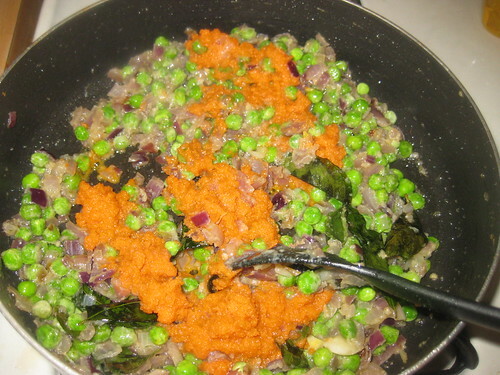 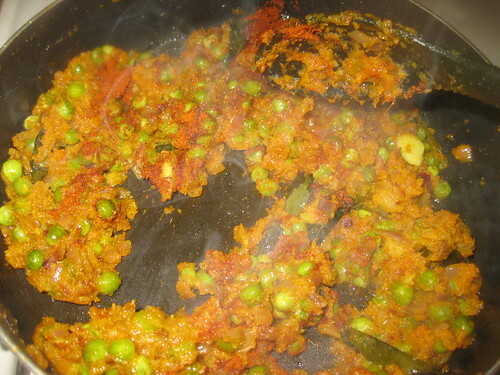 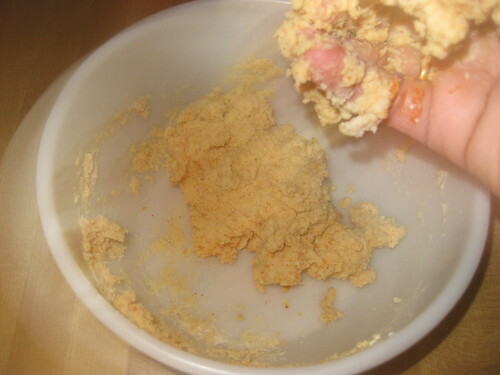 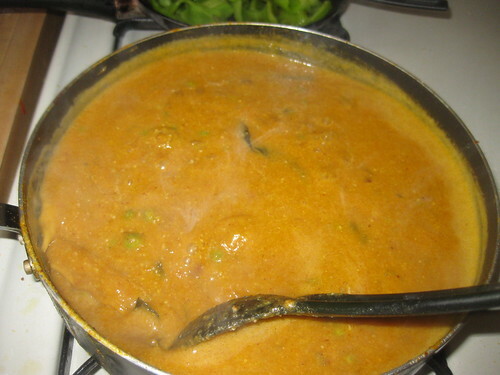 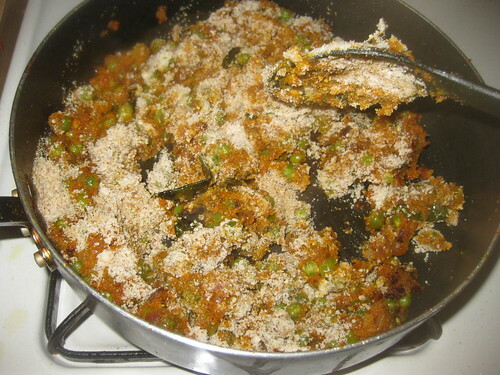 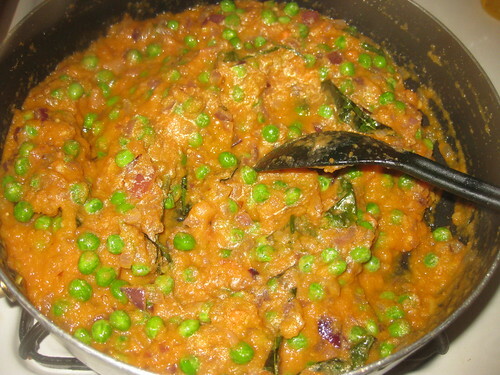 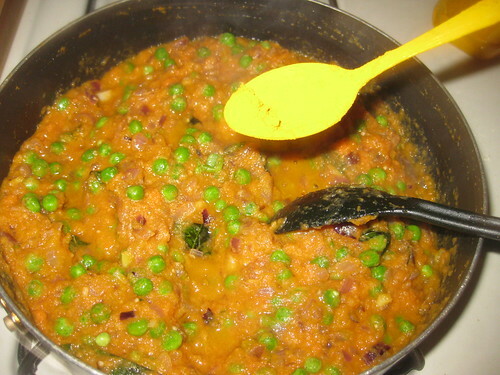 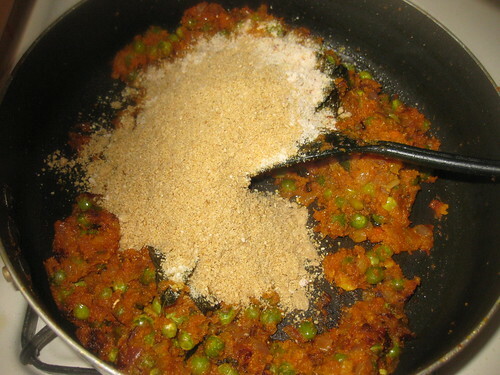 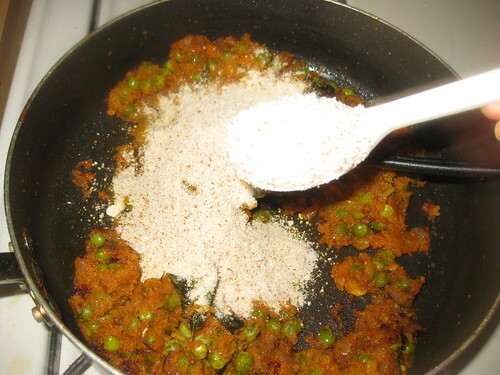 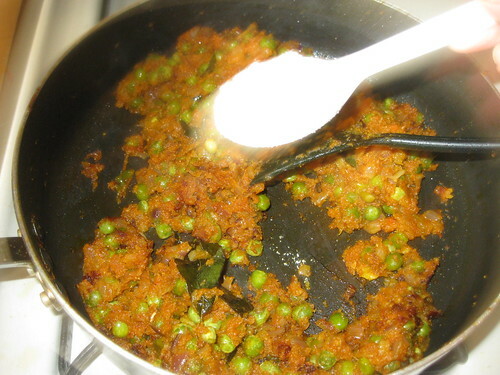 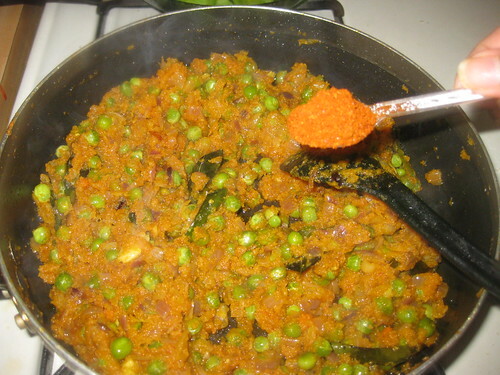 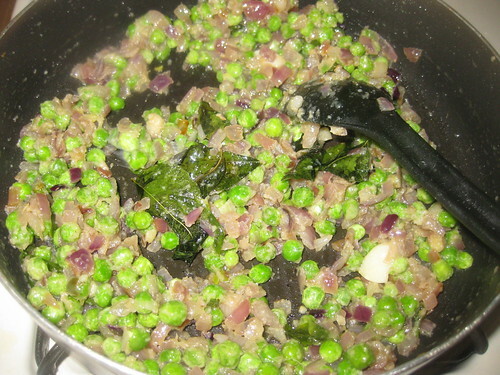 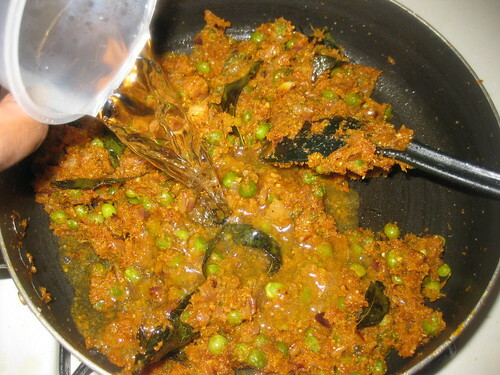 Now add green peas fry for 4 minutes,then add carrot paste fry for another 4 minutes. 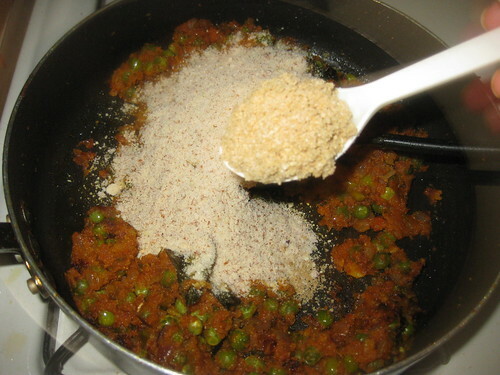 Now add tomato pure fry till its separate the oil.Add the cashew powder,almond powder,sesame seeds powder,red chilli powder,turmeric powder,salt stir well and cook for another 3 to 5 miutes,after add water and mix well.Bring it to a boil. 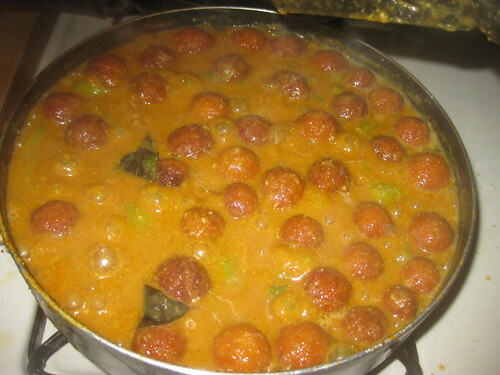 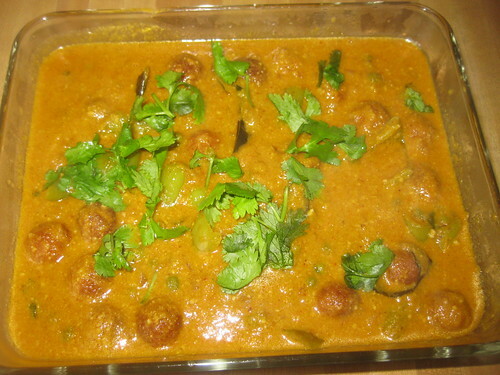 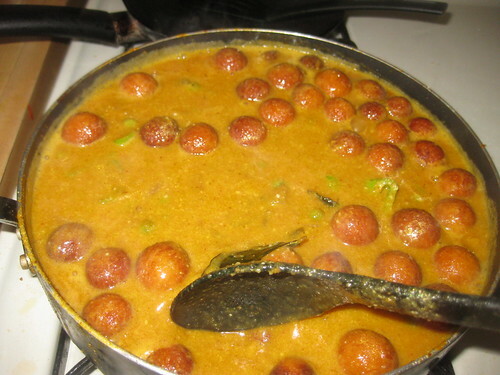 Check the spicy ,add now green pepper /chillies,jamun balls mix well.Cover and cook for few minutes so the jamuns absorb the juice and become yummy. 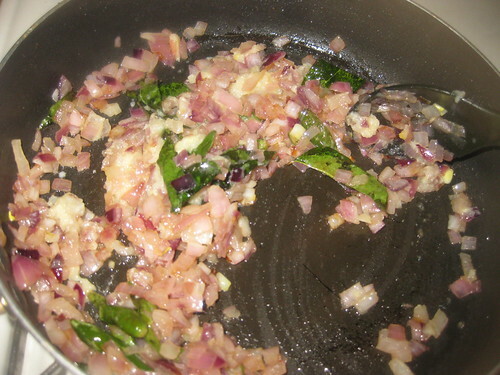 Finally add the coriander leaves and turn off the flame. 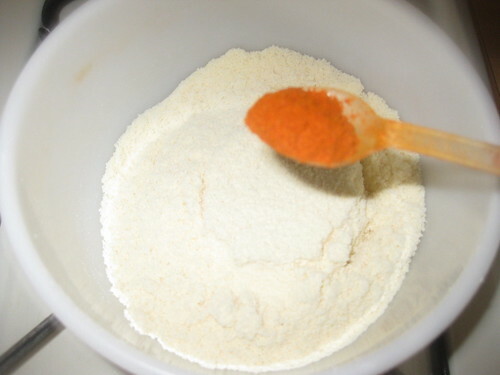 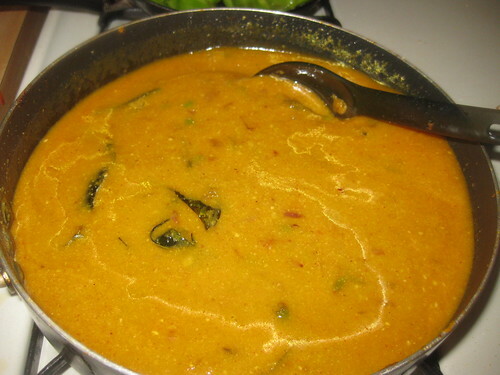 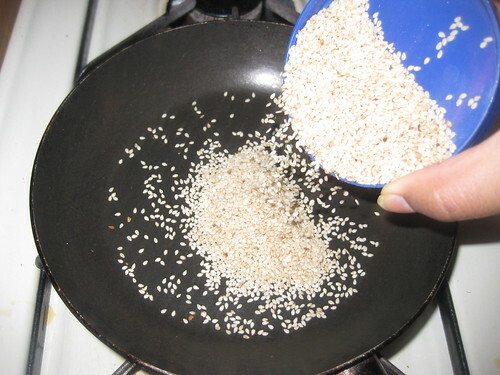 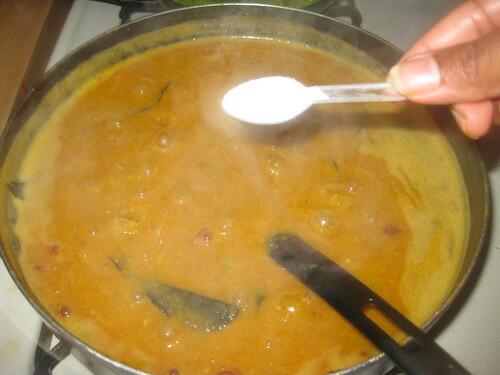 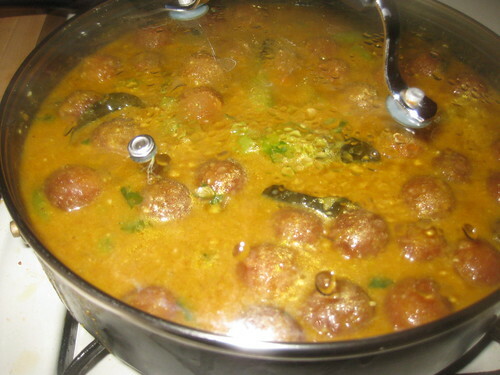 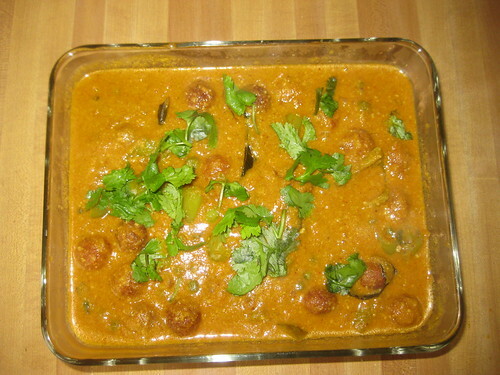 Serve it hot with chapathi/naan/any flavored rice .